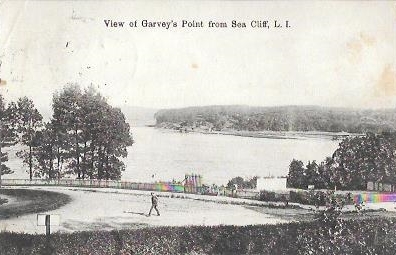 View of Garvey’s [misspelled] Point from Sea Cliff, L.I. Illustrated Postal Card Co., New-York-Germany. Made in Germany. Responsibility for any use rests exclusively with the user. Illustrated Postal Card Co., New-York-Germany. 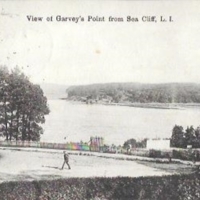 Made in Germany., “View of Garvey’s [misspelled] Point from Sea Cliff, L.I.,” Hofstra University Library Special Collections: Digital Collections, accessed April 19, 2019, https://omeka.hofstra.edu/items/show/2892.